New York, NY (March 24, 2014) – In recognition of a generous $10 million gift to the Icahn School of Medicine at Mount Sinai, made bby benefactors Patty and Jay Baker, school leadership today announced the formation of ‘The Patty and Jay Baker National Palliative Care Center at Mount Sinai.’ The new Center will support public policy, education, training,national outreach, and research aimed at improving access to quality palliative care for all seriously ill Americans and their families, by uniting the existing Center to Advance Palliative Care (CAPC) and the National PalliativeCare Research Center (NPCRC). “The mission of the Center is to ensure that all patients living with serious illness and their families understand the role of palliative care in improving quality of life and request it; that all clinicians have the knowledge and skills to provide palliative care; and that all healthcare institutions are equipped to deliver it,” said R. Sean Morrison,MD, Co-Director of The Patty and Jay Baker National Palliative Care Center at Mount Sinai and Director of the Lilian and Benjamin Hertzberg Palliative Care Institute and the National Palliative Care Research Center at the Icahn School of Medicine at Mount Sinai. While palliative care is an established medical subspecialty that has been shown to improve quality of care and quality of life for patients and families facing serious illness, research conducted in2011 by Public Opinion Strategies in Washington, DC, concluded that three out of four Americans had minimal to no knowledge of palliative care and its benefits. 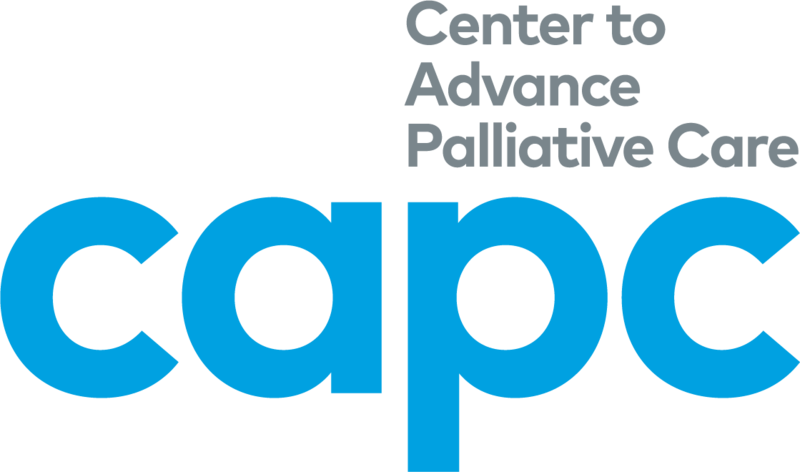 Furthermore, the poll revealed that over 90 percent of Americans would want the added layer of support that palliative care provides for themselves and their loved ones if they were seriously ill.
As the Director of CAPC, Dr. Meier has worked to increase the number and quality of palliative care programs in the United States. Under her leadership, the number of palliative care programs in U.S. hospitals has more than tripled in the last 10 years. She was elected to the Institute of Medicine this year, named one of 20 People Who Make Healthcare Better in the U.S. by HealthLeaders Media 2010 and received a MacArthur Foundation “Genius” Award in September of 2008. She has over 100 peer reviewed publications in the medical literature and is the author of Palliative Care:Transforming the Care of Serious Illness, published by Jossey in 2010. As the Director of NPCRC, Dr. Morrison’s work has focused on improving the knowledge base of palliative care so that seriously ill patients and their families receive the quality of carethat they deserve. He has received over $45 million dollars in research funding and published over 150 research articles. He is the former President of the American Academy of Hospice and Palliative Medicine and has received lifetime achievement in research awards from both the American Academy of Hospice and Palliative Medicine and the American Geriatrics Society. He has co-edited twoof the leading textbooks in palliative medicine. Lesley Snyder, Director of Communications, Center to Advance Palliative Care, Icahn School of Medicine at Mount Sinai 212.201.2682 or lesley.snyder@mssm.edu.